This is a pleasantly geometric design. 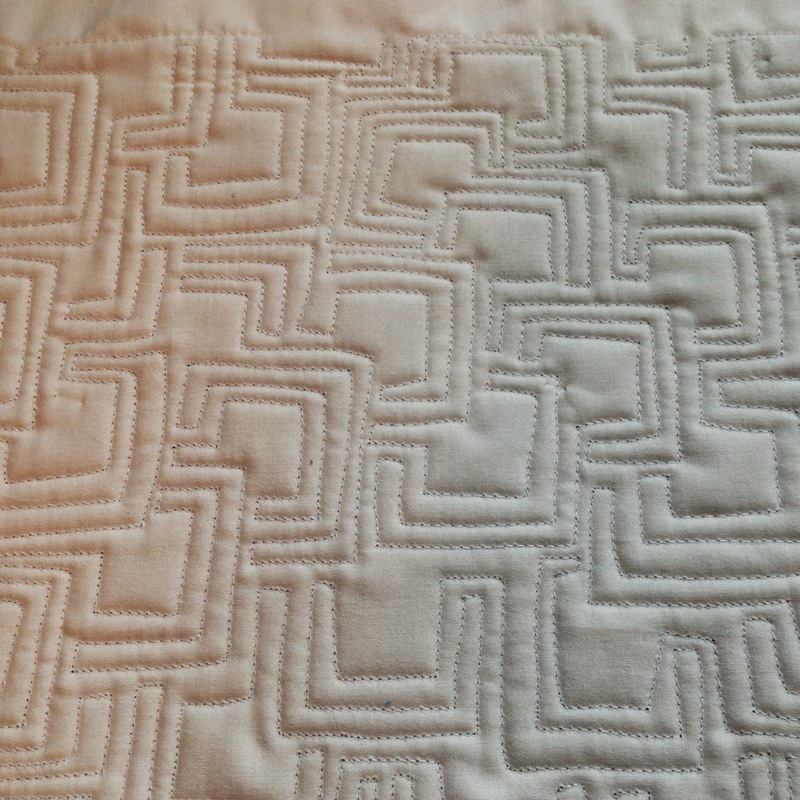 I usually don't use right angles in my quilting much because, as you will see if you watch the video, I just am not that great at them. I bet if I slowed down and was really careful they would come out better but I don't quilt to slow down and be really careful. Anyway, I mention that because I want you to feel reassured if you have the same problems I have ("right" angles that aren't, "straight" lines that curve). This pattern still seems to look good! So I'm not even going to try and shoot a better video, because I think you should see that even with those irregularities the design still plays well. This is an echo-around design. That makes it pretty flexible because you make a shape and then echo around that however much you need to until you get to the place you want to start your next shape. 1. Make three sides of a square. 2. Move a little to the side and echo around that square. 3. Move to the side and echo around again, as many times as you want until you get to the point that you want to start the next square. I like the look when I start my next squares at corners, it gives this pleasant overlapping effect. But you can start your next square anywhere. You'll occasionally have some tight spaces that you have to get creative to fill, just try and keep your line spacing sort of consistent. And don't stress about that either. I'm coming up with designs faster than I have patchwork to feature them! But here is the back of my stitched sample. Thanks for the enthusiasm about the new book! See you all soon. Great design, I've been really studying your new book today and I love, love the designs you've included. They are different from my usual go to designs and I can't wait until I finish my quilt top which has large rectangles and is crying for your designs. Thank you!!! I'm also going to suggest my Guild purchase the book for the library. Double good day for me! I bought your book and am now in your Craftsy class. 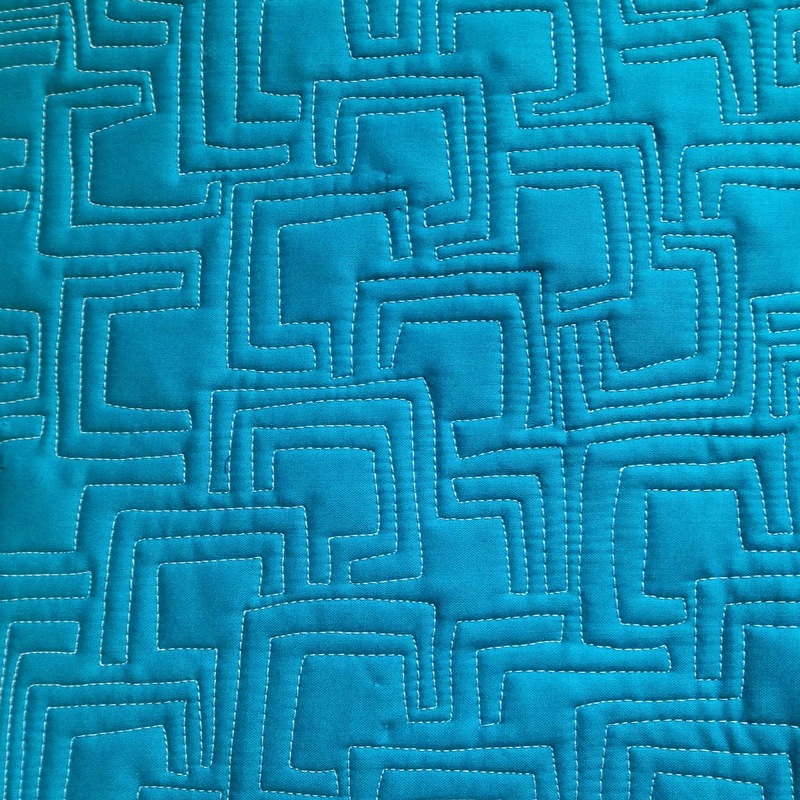 I am working on a quilting project right now and have already been using your wonderful designs to quilt it. Thank you SO much! I just bought your book, too! Love this design but I would need a lot of practice! Straight lines are not my friend! I have difficulties with those angles and straight lines too. No one has ever said "Those are bad" -at least not to my face. i love the geometrics in this design! it looks hard to do straight lines and corners but i actually like the curve in the lines - looks more organic and natural somehow. I really like this pattern. I so appreciate you sharing your knowledge with all of us! Great design, Christina! And just call it organic - that covers a lot of curvy straight lines!! It looks like a fun design! 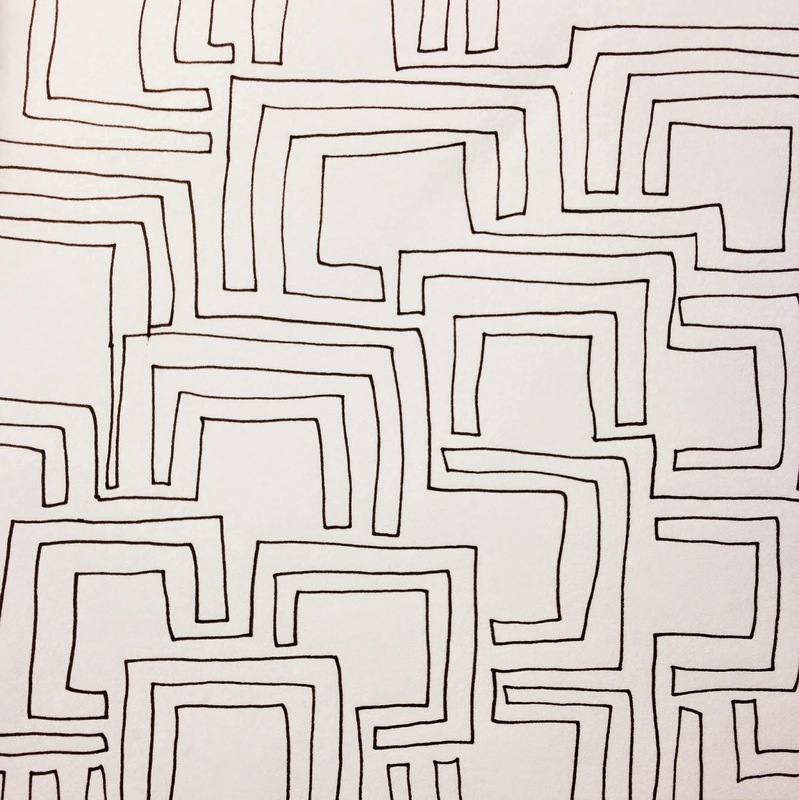 Like meandering with corners. Lovely!